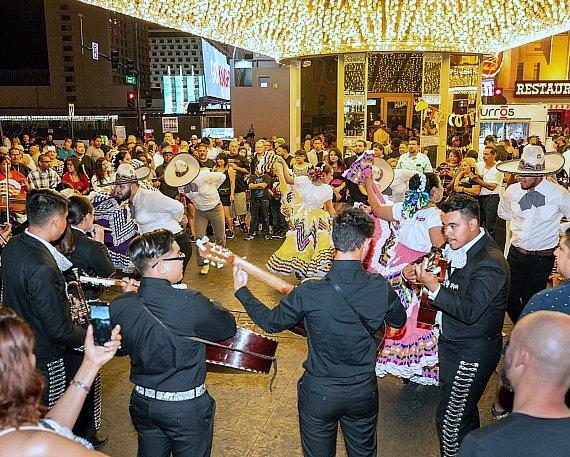 This year, Cinco De Mayo 2019 will be celebrated with plenty of Cinco de Mayo party opportunities to go all out and celebrate the holiday in downtown Las Vegas. 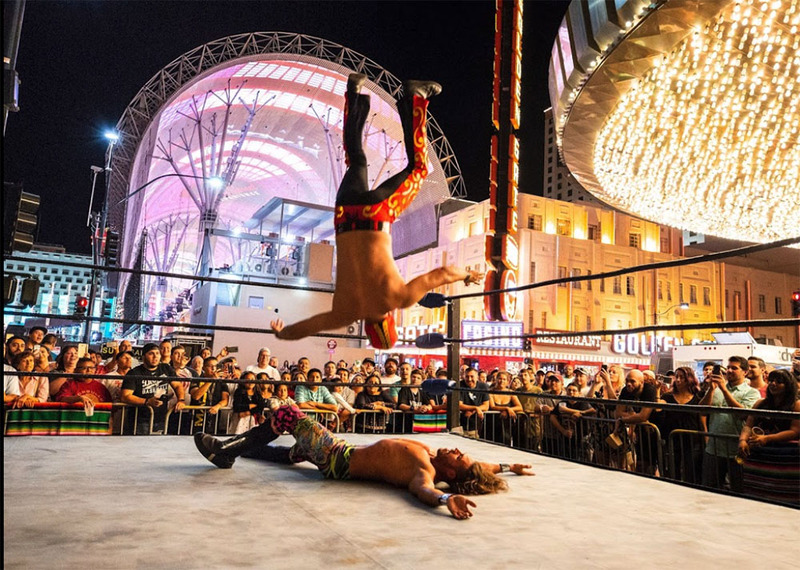 There will be events and drink specials to keep you entertained in downtown Las Vegas including a party under the dome that The Plaza Hotel & Casino is taking part in on May 4th starting at 7 PM. 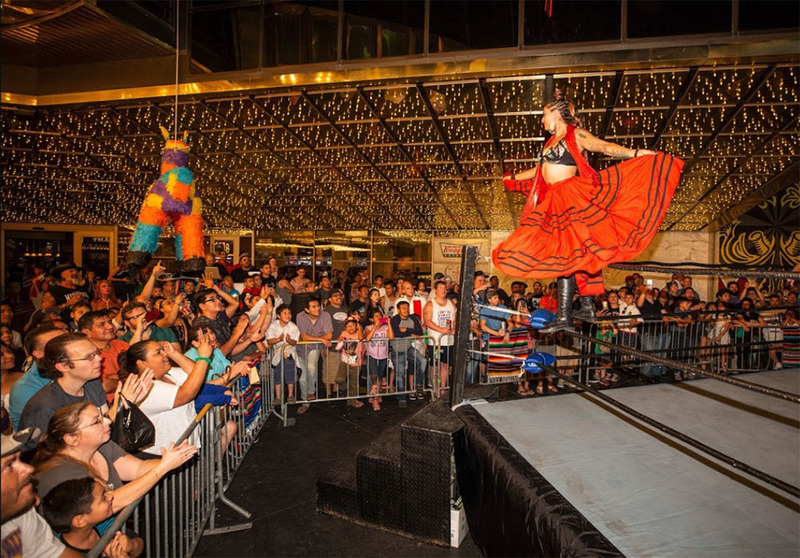 The party under the dome will have Lucha Libre Wrestling, a Mariachi Band playing live music, Folklórico Dancers, a Live DJ, Authentic Mexican Food & Drinks Specials, and Downtown’s Largest Piñata for you to take a swing at! One of the best parts of Cinco de Mayo is getting to celebrate by enjoying the Mexican culture’s food like street tacos and street corn. At the Cinco de Mayo party in downtown Las Vegas at The Plaza, you’ll have the chance to enjoy Zaba’s street tacos for $2.50 each or 6 tacos for $14. There will be chicken or pork with the traditional garnish of onions and cilantro. To wash down your tacos, you can enjoy an Agua Fresca like Horchata, Pineapple, or Hibiscus. If you prefer something a little stronger, you can grab a margarita or a Mexican beer at one of the nearby bars. This is sure to be the best party in Las Vegas with the most music, culture, and refreshments to offer. Get in the spirit of Cinco De Mayo and join us at The Plaza Hotel & Casino for the party and a couple of tequila shots. Olé! Cinco De Mayo is traditionally a Mexican holiday that celebrates the Mexican army’s victory over France at the Battle of Pueblo in 1862. Cinco De Mayo is often mistaken to be Mexican Independence Day, but it is an entirely different holiday as Mexican independence was declared more than 50 years before the Battle of Puebla, which is what is celebrated on Cinco De Mayo. Although the holiday is relatively small in Mexico, in the United States, Cinco De Mayo has become a celebration that incorporates Mexican culture, heritage, and tradition. Additionally, the holiday celebrated in America often involves Cinco de Mayo parties which include eating traditional Mexican food such as tacos and drinking Mexican alcohol such as tequila or Mexican beer. The holiday is celebrated around the country with parades, parties, mariachi music, and festivals to celebrate the culture. 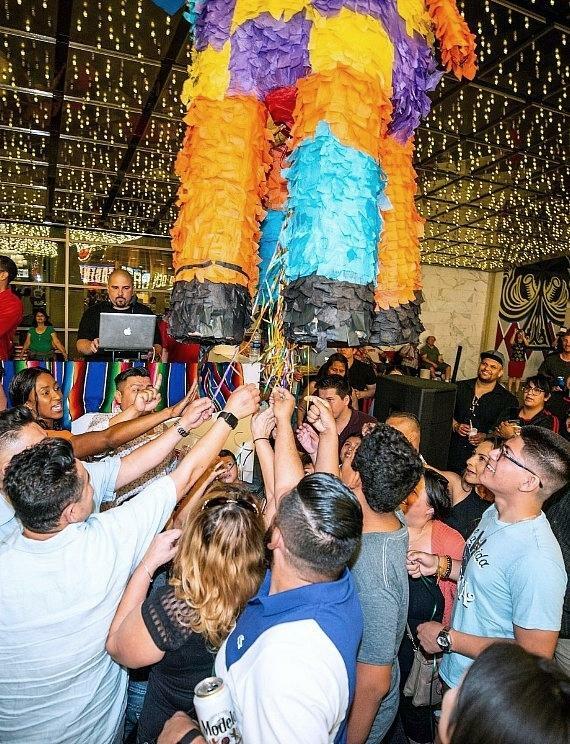 It’s a perfect time for people of all cultures to come together and celebrate all that the Mexican culture has to offer. When you think of the ideal vacation destination I bet two of the places that cross your mind almost immediately are Las Vegas and Hawaii. Unfortunately, the two are separated by the state of California and the Pacific Ocean so it’s hard to hit Las Vegas and Hawaii both in one trip. But, what if we could bring an authentic Hawaiian Luau Beach Party to Las Vegas?Hawaii and Las Vegas have a few things in common, they’re both hot and they’re both an excellent place to relax and unwind with friends and family. That’s why The Plaza Hotel & Casino decided to throw a Luau Beach Party and combine the best of both worlds. This authentic Hawaiian Luau in Las Vegas brings the beach to you at The Plaza’s rooftop pool.At this authentic Hawaiian Luau you get to feast like a king! Some of the items featured on the menu were Hawaiian favorites such as macaroni salad, lomi salmon salad, and Huli Huli chicken, and taro rolls. One of the main events of the feast was Lechon, slow roasted suckling pig which is a Hawaiian delicacy. There were also plenty of Hawaiian inspired drinks like Piña Coladas and a cash bar for convenience.The Aloha $15,000 Slot Tournament was a tournament with $150 buy-in and offered prizes to first place all the way through the fifteenth place. The first place winner took home $5,500! The slot tournament isn’t the only form of entertainment that will took place Memorial Day Weekend. There were Polynesian dancers at the Hawaiian Luau, a live fireworks show, and buffet serving authentic Hawaiian right next to the Pool at the Plaza.